Day two, Tuesday 25th October, was a thriller in Morocco. 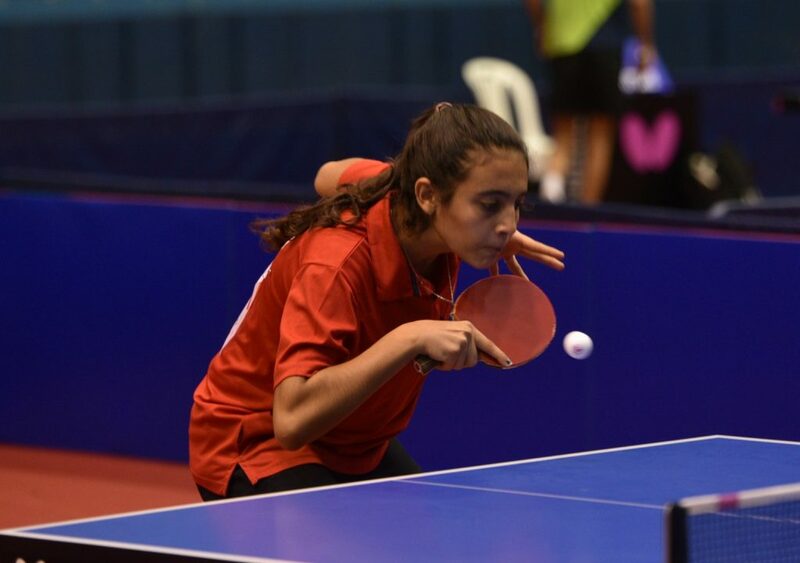 While Tunisia's Women's Team made history by entering the final of the ITTF Africa Senior Championships, Egypt's Men and Women both made it to the finals of the Team events. It is always magical to do the “first time” things. Sport gives one many opportunities to make that happen. At Agadir today, Tunisia had their magical “first” as they entered the finals of the Women’s team event of the ITTF Africa Senior Championship for the first time ever. They surpassed Algeria with a 3-1 victory to move to the finals. Excited on this historic feat, Abir Haj Salah from Tunisia expressed her fulfillment and said: “we were of the same level and I should say that it is not always easy to beat them”. With this statement, the win makes it even the more special. Tunisia will face the mighty Egypt in the final of the Women’s Team event which is scheduled to be played at 4:30pm local time. Egypt beat South Africa in the semi finals with a comfortable 3-0 margin. Egypt’s Dina Meshref was seen in action and broke no sweat as she won her opening match in straight sets on day two. Algeria will not return home disappointed as they finished at a respectable third position after beating South Africa 3-0 in match to fight for the third position. Later, Congo Brazzaville prevailed over Morocco 3-1 to secure the fifth position and thus Morocco had to settle down at number six. The Women’s Team event will conclude on Wednesday 26th October and all focus will be shifted to the singles and the doubles events. It was not surprising to see the two countries that entered the finals of the Men’s Team event. It was Egypt and Nigeria. The clash between the two was certainly predicted and both the countries lived up to their own expectations. On their way to the finals, Egypt defeated Tunisia 3-0 in the quarter finals and Congo Brazzaville in the semi-finals with the similar score line to establish their footing in the finals of the Men’s team event. In the bottom half, Nigeria also paved their way to the finals beating South Africa in quarter finals and Algeria in the semi-finals in straight sets. The position matches to determine the finals standings will also be played on day three at 3:00pm local time. Congo Brazzaville will compete against Algeria to determine third position. Tunisia and Tongo will face each other to play for the fifth position and Senegal and South Africa will play to determine the seventh and the eighth position. Nigeria’s Olufunke Oshonaike expressed her disappointment as her teammates were unable to participate in the Championship. She will thus take part in the Women’s singles event which starts on 28th October 2016.